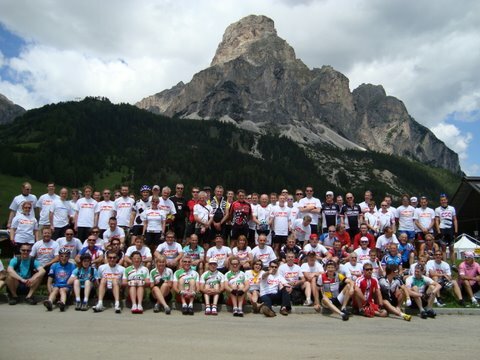 The 23rd Maratona Dles Dolomites took place on Sunday July 5, 2009. 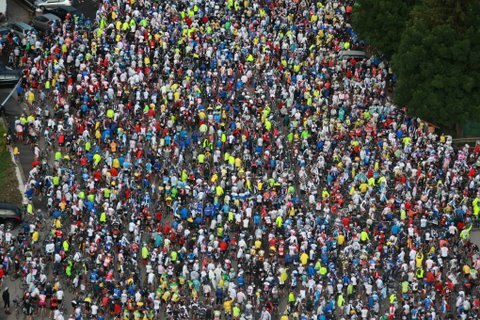 Italy’s biggest and best granfondo took 9,000 riders from 37 countries around the spectacular course. About 250 riders from Britain and Ireland, most of them under the banner of Cycling Weekly, braved the giant passes on a glorious, clear day. 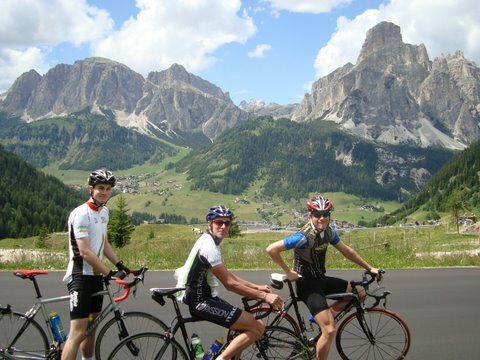 There’s something for everyone at the Maratona, whether you want to take on 2009 winner Jamie Burrow or spend the whole day doing the short course. 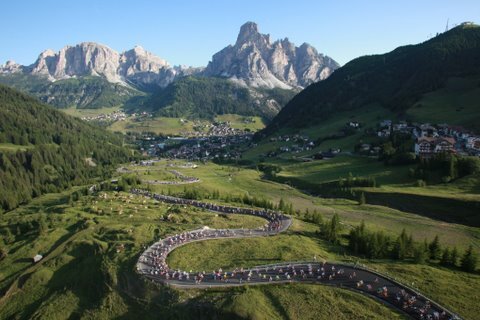 There are three courses on the Maratona and you don’t have to decide beforehand which you are going to do. 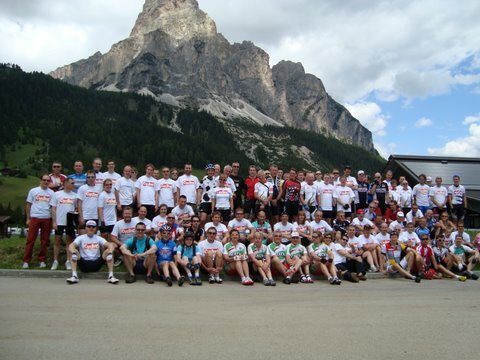 Everybody does the first four passes – Campolongo, Pordoi, Sella and Gardena – covering 55kms and 1,780 metres of climbing. You can then decide as you ride whether you still have the legs to tackle more. Whichever course you ultimately choose, there are loads of events and activities for families on offer and the whole thing is a celebration of the bicycle. The youngest rider this year was born in 1994 and the oldest in 1930. Ten per cent of the riders are women. All food on the day, a top quality cycling top, a CW T-shirt and lots of other stuff is included in the entry. You can read more about the event, and the expolits of the Cycling Weekly readers, in a future issue of Cycling Weekly magazine.